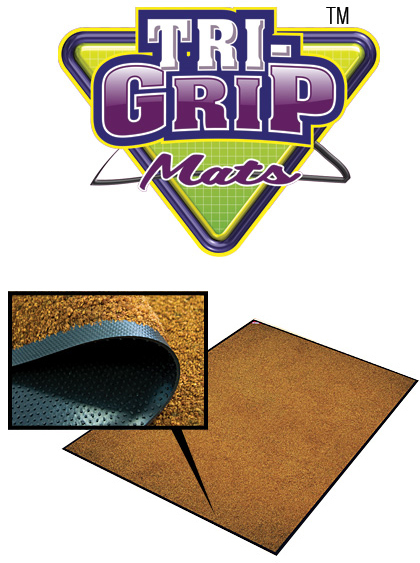 Tri-Grip mats offer a simple and fresh approach to effective floor protection. Tri-Grip features high twist nylon yarn which acts like tiny brushes that scrub the soles of shoes keeping floors clean and removing up to 80% of the soil that would otherwise be tracked in. Mats are also static dissipative which means they’re safe to use around sensitive electronic equipment. The heavy duty rubber backing of Tri-Grip is available smooth or cleated and is made with 20% recycled content. Tri-Grip is also certified “slip-resistant” by the National Floor Institute. Mats feature Perma-DyeTM and StainStopperTM for long lasting color, and every mat comes with an impressive 3-year warranty. Ordering Tri-Grip is easy and delivery time is quick. Tri-Grip is perfect for any application!